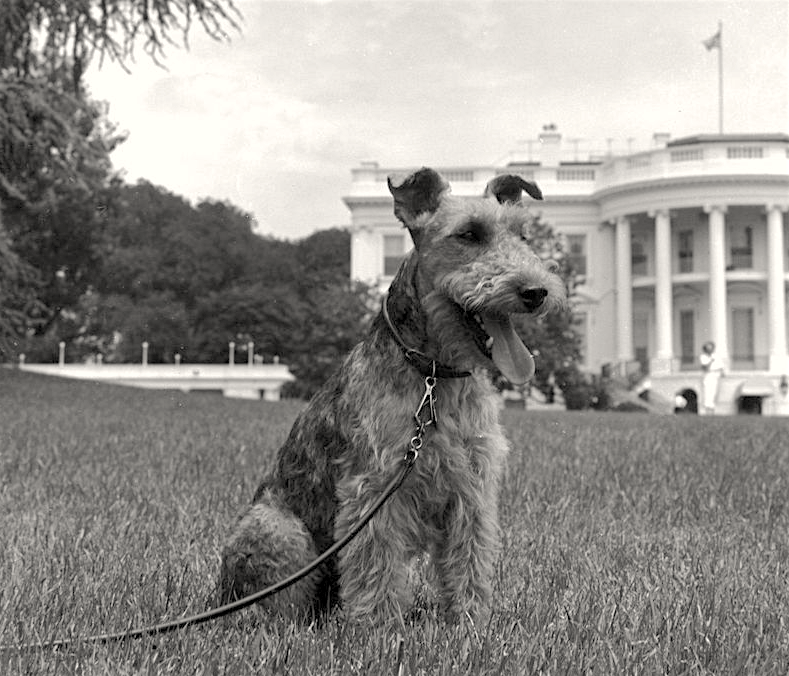 Charlie poses outside the White House, June 22, 1961. 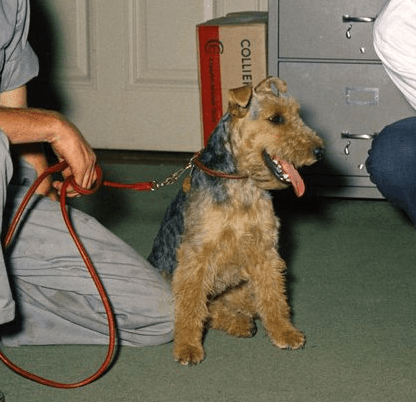 When the Kennedy family moved into the White House, they brought with them a Welsh terrier named Charlie. Despite his allergies to animal hair, President John F. Kennedy enjoyed animals and wanted his children to have the experience of having pets. Despite the later addition of quite a few other dogs to the family, JFK really bonded with their first dog, Charlie, who would often swim laps in the pool with the president. Charlie was known to be protective of his human, growling when any other dog came near him. According to longtime White House dog handler Traphes Bryant, President Kennedy enjoyed having his dogs greet him when he disembarked from Air Force One. Charlie absolutely loved to play fetch, but the president found it annoying. President Kennedy told Bryant it was “kind of aggravating” — because that’s all Charlie wanted to do. And so, Bryant recalled, Kennedy directed him to stop throwing sticks to the dogs so that the problem wouldn’t get any worse. 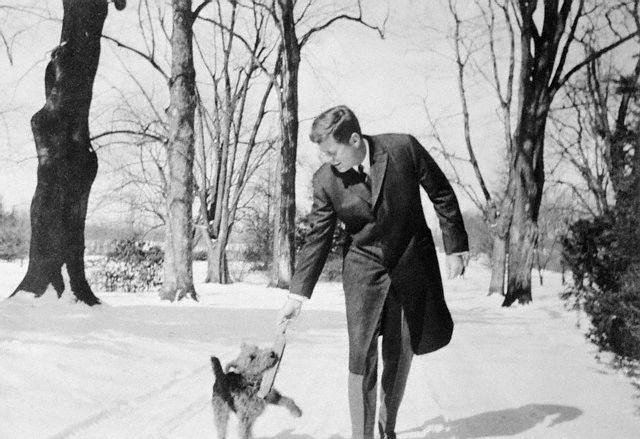 President Kennedy plays with Charlie in the snow, March 1962. Many nights, the First Couple would take one or two of their dogs for a walk outside the White House gates, unbeknownst to people on the street.